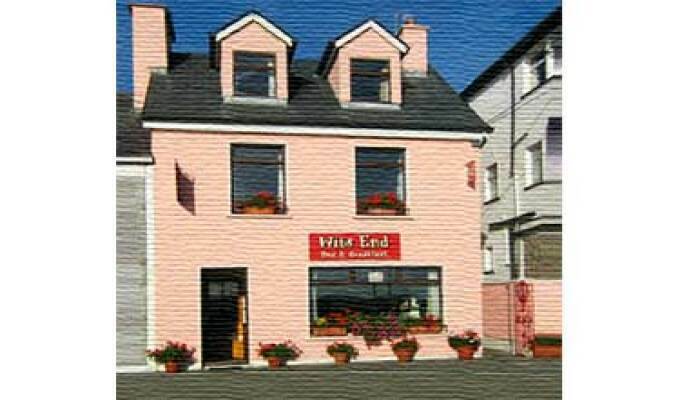 Wits End Bed & Breakfast is located at the top of Roundstone village on the Main Street opposite the car park. The building is painted pink so it's easy to find us. We look forward to welcoming you! Good location near scenic Sky Drive and Connemara National Park. Nice room with view of bay. Hosts were very congenial and helpful. Breakfasts were served with edible floral decorations on the plates. Good places to eat literally within steps of the front door.